Hard to believe, but the holidays are here. To get you in the spirit, we talked to our resident fashion experts (seriously, they have pedigrees from some of your fave fashion magazines!) Fashion Director, Meggan Crum, and Editorial Styling Director, Erin Sumwalt, to give you the scoop. From silky smooth velvet to shimmery metallics, read what they have to say! See what’s trending now—plus, how to wear and pair them! MC: “Metallics this season are soft neutrals and blush tones that look great against any skin tone. Just like velvet, it’s about finding the color that works best for you (and you love!). Have fun with it during the day by pairing it with something that’s more casual or an everyday staple. Neutral metallics are great for casual outings, while bold-colored metallics are perfect for festive occasions—don’t be afraid to double up on metallics or rock a bold lip, too! 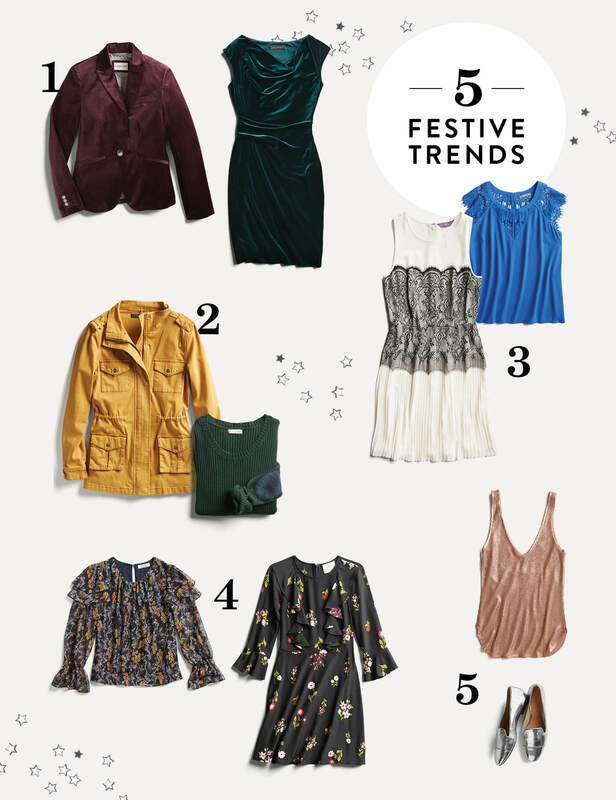 Want to get in on these holiday trends? 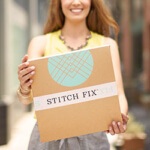 Let your Stylist know what you’re looking for in your next Fix!